The Liberal Party of Canada, the country’s oldest political party has assumed power in the month of October 2015. The party during the campaign for the general elections has promised to bring the significant changes to the immigration. The liberal party which ruled the Canada for over 69 years understands the importance and need of the skilled migration to the country. The new proposed reforms of the Canada Immigration by the Prime Minster Justin Trudeau are likely to be effective once after the legislation passed in the House of Commons. The permanent residency applications under family reunification program.Present in taking is 5000 applications after the increase the Government will accept 10000 applications. Allocation of more points for the siblings of Canadian citizens willing to apply for Permanent Residency through Express Entry Scheme. Minimizing the processing time for family immigration programs. LMIA Fee Exemption for families seeking the help of caregivers from foreign countries. Free access to healthcare programs for refugees. Facilitating the international students to obtain Canadian Citizenship through improving the Canadian Experience Class program. Improve conditions for the international students to apply for Canadian Citizenship. 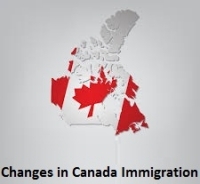 Eliminating the waiting period of two years under the conditional permanent residency program. To increase the dependents age from 18 to 22, helping the lawful Nationals to bring back their families to Canada. Free movement of Mexicans in Canada, visa-free entry to Mexicans.